SWTel, the dominate phone company in SW City, has these phones dotted around town for public use. Phones link to the SB&C interactive network. 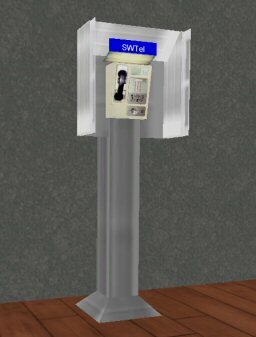 The base object will be the center of the payphone.